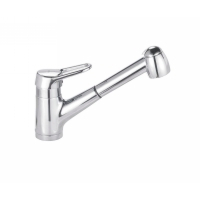 At Plumbing Parts Plus, we have an extensive selection of the best kitchen faucets & the best bathroom faucets on display for all of your bath and kitchen needs. Come in and see the latest design trends in all of today’s popular finishes as well as our large selection of other bathroom fixtures. 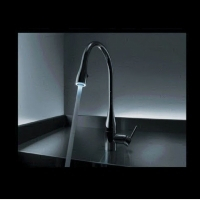 We stock major brand name faucet manufacturers to insure you get quality products with both cutting edge design and backed with the industries best warranties. With one of the largest selections of luxury bathroom accessories, and plumbing fixtures, our knowledgeable staff can help you compare and budget to get exactly what you desire for your project. 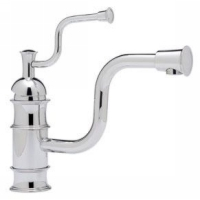 When you purchase faucets from us, you can be assured you are getting the best quality of products available in the marketplace and that they are backed with exceptional service, extensive inventory of faucet parts, as well as lifetime warranties. Visit our premium bath and kitchen showroom in Rockville, MD today to find the perfect bathroom faucet or kitchen faucet. 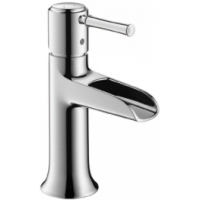 Grohe faucets are made in Germany, but widely sold in America by Grohe USA and around the world. Their commitment to design, quality and technology are unsurpassed. Plumbing Parts Plus is a Select Dealer Showroom for their product and selecting faucets direct from our showroom has advantages such as pre-sales and post-sale support from some of the most experienced staff in Maryland. 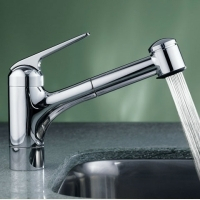 This means that we display almost every series of faucets and shower faucets Grohe has to offer and that our staff has the product knowledge to help you select just the right products for your job, whether you are just looking to replace your kitchen sink faucets or design a complete custom Grohe shower. Visit our bath and kitchen showroom in Rockville, md today for the ultimate selection of Grohe kitchen faucet models, as well as Grohe bathroom faucets & shower fixtures. Need more assistance after your initial purchase? 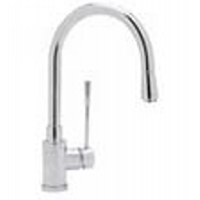 We also carry a variety of Grohe parts and other faucet parts, so let us know how we can help! 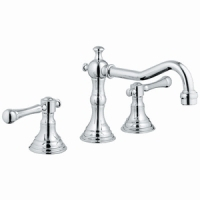 The Rohl product line includes a wide range of exceptional quality, classically differentiated faucets and fixtures. 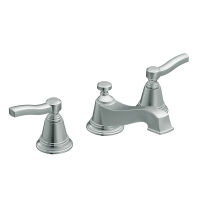 Sourced from Western Europe, New Zealand and North America, each is crafted to Rohl’s exacting specifications and uniquely tailored for the American home. 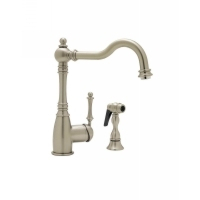 Rohl carries a variety of traditional and and modern faucets, but also has wall mount kitchen faucet options, pull out kitchen faucet options, bridge faucet models, shower heads / shower arms, and even water filter faucets. 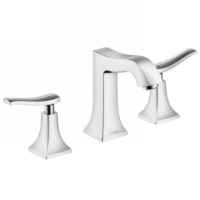 We are a Rohl Authorized Showroom which means we provide a wide selection of the Rohl Collections and that our knowledgeable staff represents their products with the highest level of personal service, attention and expertise available. Our showroom has a great selection of Rohl kitchen faucets, Rohl bathroom faucets, and has access to Rohl parts for years of quality support. Hansgrohe is a German company and their products are still produced in that country in some of the most innovative factories in the world. 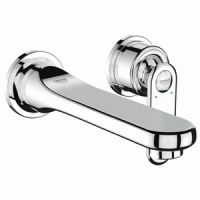 They have become world renowned for innovative shower trends and high quality faucets. 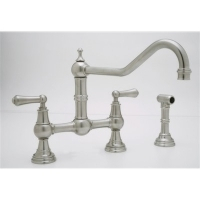 They continue to lead with top international designs making them a top plumbing fixtures company choice for your next remodel. 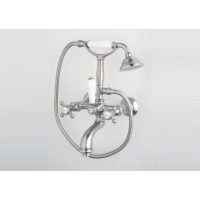 At Plumbing Parts Plus, we have a broad display of Hansgrohe faucets, hansgrohe shower heads, shower faucet models, hand shower models, and stock many of their other luxury shower system products. 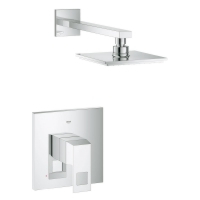 Hans grohe products have features such as scald protection and lime scale removal while focusing on saving water. We can also help after the sale with full access to Hansgrohe parts. Stop in our kitchen & bath showroom in Rockville, MD to see how we can help you next project. California Faucets does not believe in mass production. They believe in custom. 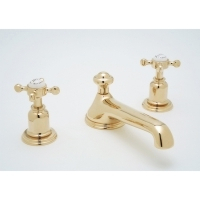 Each California faucet is hand finished and individually assembled in their factory in Huntington Beach California. Custom means being able to mix and match any handle with any spout and in any finish, allowing you to create custom designer faucets that are uniquely you. They offer over 30 series from which to choose. Quick delivery and unparalleled customer service make them one of our best offerings. 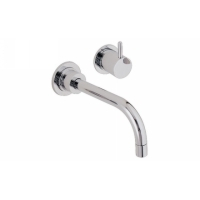 The combination of quality and customization makes calfaucets one of the absolute leaders in high end bathroom fixtures and high end bathroom faucets. 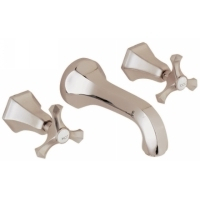 Custom and luxury are staples of this USA bath fixture manufacturer. 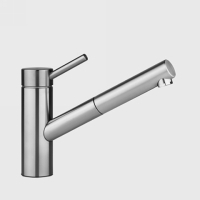 Visit our showroom to see all the Cal Faucets options for luxury faucets, luxury bathroom fixtures, and other products. 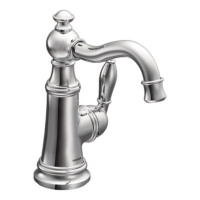 Moen is the #1 faucet brand in North America. Moen offers a diverse selection of thoughtfully designed bath and kitchen faucets, Moen shower heads, Moen shower faucet models, accessories and bath safety products, each delivering the best possible combination of meaningful innovation, useful features and lasting value. We have an extensive display and are proud to have displayed, recommended and sold Moen products since 1987. 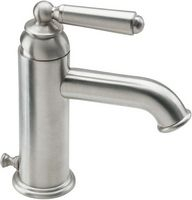 Also ask us about our Moen faucets parts and other parts to keep your bath or kitchen running for many years. 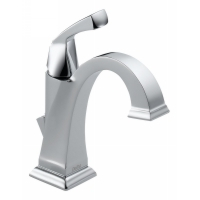 Delta Faucet Company is owned by Masco Corporation, one of the worlds leading manufacturers of home improvement and building products. 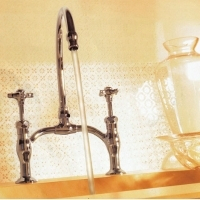 Delta was founded in 1954 with the introduction of the single handle faucet. 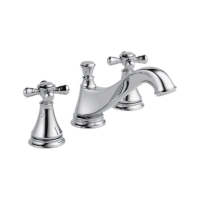 They offer an extensive line of residential bath and kitchen faucets and accessories. 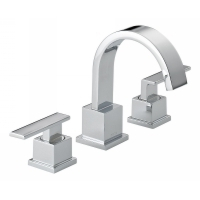 Delta’s premium Brizo brand meets the demand for aesthetics and performance with a collection of distinctly designed faucets that create a fashion statement in the home. 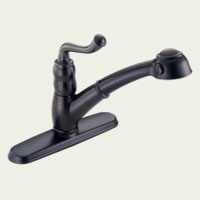 Delta faucet company is an extremely popular choice for many homeowners, but we carry more than just faucets. 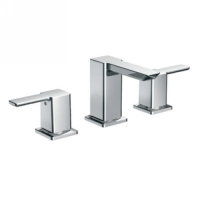 Also ask us about our Delta sinks, Delta shower doors, Delta fixtures, and even Delta parts. Let our expert staff in our Rockville, MD showroom help you navigate the many options available. 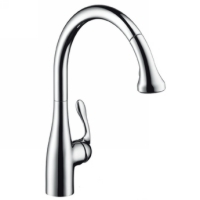 Blanco faucets are designed to coordinate with their Stainless and Silgranit kitchen and entertainment sinks. 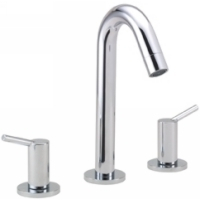 Blanco kitchen sink faucets and Blanco bathroom faucets are specifically designed to perform in the hardest-working space in your home, the kitchen, and are crafted from some of the highest quality materials available. Solid brass body construction anchors the finely tuned inner workings, from long-lasting ceramic disc cartridges to the flexible and convenient pull-out spray hoses, plus they come in a variety of styles and finishes to suit your personal taste. 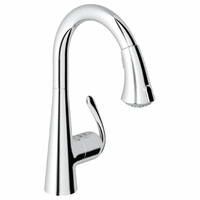 We also have available a wide range of Blanco sink faucet parts. handling water to a new level. 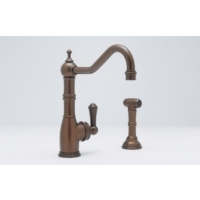 These exclusively processed faucets create a refined atmosphere in any kitchen or bathroom. 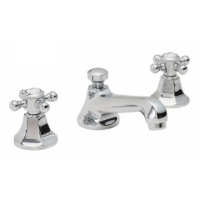 As an official showroom, we have many KWC faucet options and KWC faucet parts available. Drop-in or schedule and appointment today!